Whitlock has joined the ranks of audio visual companies at the top of the Microsoft Partner ecosystem. The unified communications solutions provider became certified as a Gold Communications Partner, which distinguishes Whitlock among the top 1% of Microsoft's partners. 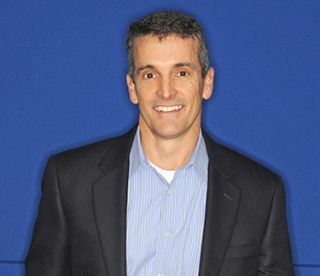 "Whitlock has made a bold investment in the Microsoft UC portfolio, including Lync, SharePoint and Office 365," shared Doug Hall, CEO (pictured above). The gold competency demonstrates a "best-in-class" ability and commitment to meet Microsoft customers' evolving needs in today's dynamic business environment. To earn a Microsoft gold competency, partners must successfully complete exams (resulting in Microsoft Certified Professionals) to prove their level of technology expertise, and then designate these certified professionals uniquely to one Microsoft competency, ensuring a certain level of staffing capacity. They also must submit customer references that demonstrate successful projects (along with implementing a yearly customer satisfaction study), meet a revenue commitment, and pass technology and/or sales assessments. "Whitlock has made a bold investment in the Microsoft UC portfolio, including Lync, SharePoint and Office 365, as well as a full suite of surrounding solutions for integrating Lync into legacy environments such as boardrooms and videoconferencing rooms," stated Doug Hall, CEO, Whitlock. "We have responded to customer demand for standardized use of Lync on a global basis from any location and on any device." Whitlock offers Microsoft Lync 2013 deployment services to help businesses take full advantage of this powerful unified communications solution across the enterprise. With Lync implemented in all locations, including training rooms, videoconferencing rooms, and remote locations, businesses get even greater improvements in collaboration and engagement. Whitlock's expertise encompasses the implementation of Lync Room Systems for larger meeting spaces. "By achieving a gold competency, partners have demonstrated the highest, most consistent capability and commitment to the latest Microsoft technology," said Phil Sorgen, corporate vice president, Worldwide Partner Group at Microsoft Corp. "These partners have a deep expertise that puts them in the top 1% of our partner ecosystem, and their proficiency will help customers drive innovative solutions on the latest Microsoft technology." The Microsoft Partner Network helps partners strengthen their capabilities to showcase leadership in the marketplace on the latest technology, to better serve customers, and to easily connect with one of the most active, diverse networks in the world. As part of its new status, Whitlock will be participating in the Microsoft Worldwide Partner Conference as a Bronze Sponsor. This event takes place in Washington DC July 13-17, and Whitlock will be showcasing collaborative solutions, including Lync Room Systems, in Booth 1130.